More dynamic range and sustain than any other bass string. D’Addario has rebuilt the electric bass string to bring more sonic possibilities to bass players. 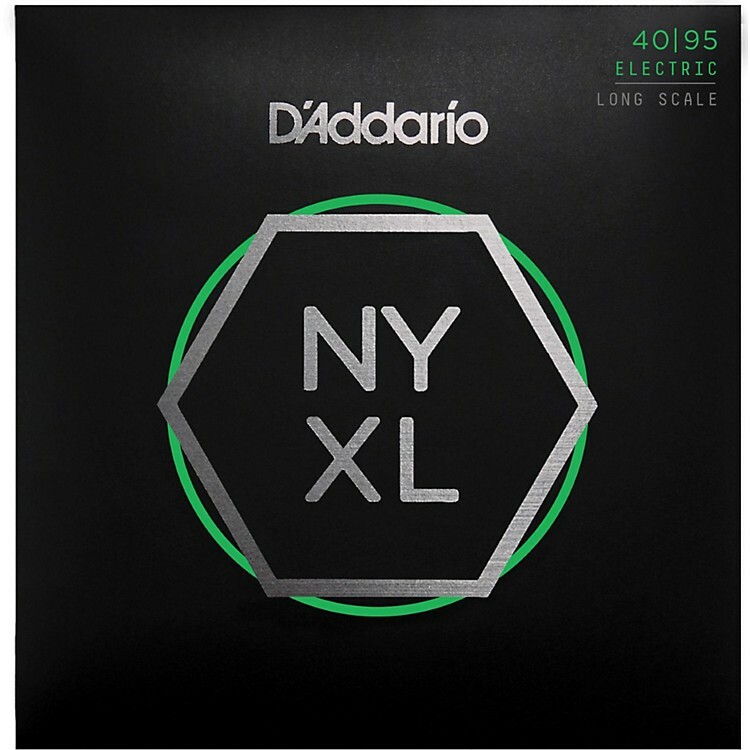 NYXL4095 Long-Scale Bass Strings combine D'Addario's high carbon NY Steel core and up to three wraps of their reformulated nickel-plated steel in new core-to-wrap ratios. This advanced construction provides more dynamic range and sustain than any other bass string. Meticulously designed for all playing styles, this string features deep, powerful lows with focused punch, increased dynamics, and accentuated harmonic response. See what a difference NYXL can do for you. Order today.